From custom beds to 10+ hours of playtime a day, this is the ultimate resort. Does your dog need a break from the routine of home life? Maybe you’re going away for a few days and can’t take your precious pet with you. Regardless of the “why,” the “where” is what really matters. As in, where are you going to leave your dog?! At Four Paws Pet Resort – that’s where! We offer the best and most affordable pet boarding services in Virginia. We’re passionate about dogs and promise that while your dog is our guest, they will be treated like family. When it comes to boarding, we don’t believe in cages. Instead, each of our guests is treated to his or her own suite, designed to ensure complete comfort and relaxation. 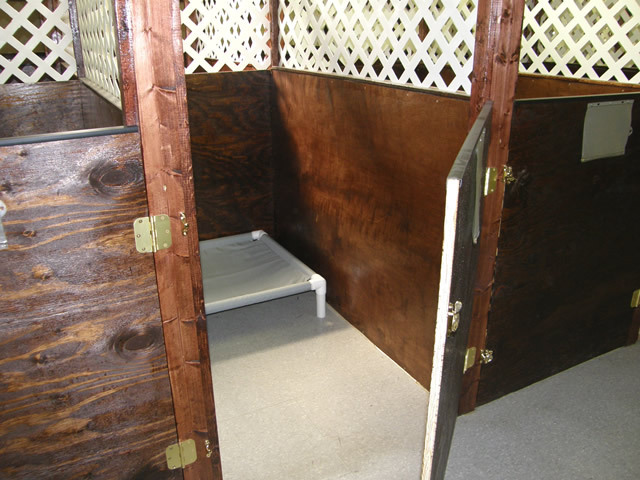 Suites are 4’x6’ with elevated cot beds and solid walls to ensure privacy. We do, however, offer double suites for guests who come to our pet resort with a furry brother or sister. For overnight stays, we recommend bringing some items to remind your dog of home. That can include their favorite treats, toys, bedding, or anything else needed to facilitate a stress-free visit. Please pre-measure any food and treats in separate plastic baggies. This ensures your dog gets the right food and the proper amount of food at each feeding. We can also administer medication, if needed, for a small additional charge. Please inquire about early drop off and late pick up. Book your pet's stay now! 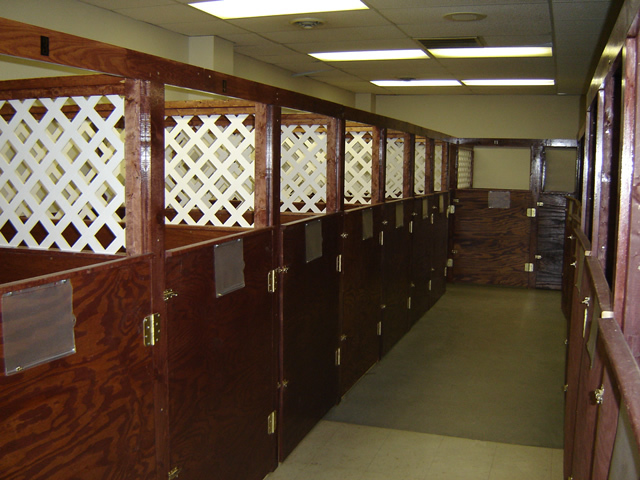 We don’t believe in cages – only custom suites and beds. We will feed your dog, provide personal attention, and even administer medication. Your dog will receive 8-10 hours of supervised playtime. Bring toys, blankets, and bones from home for a stress-free stay.